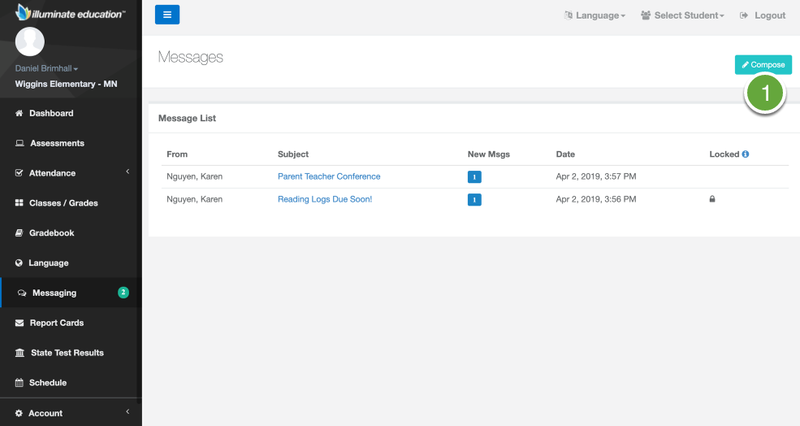 This lesson will guide you through reading and composing messages to teachers in the Illuminate Parent Portal. 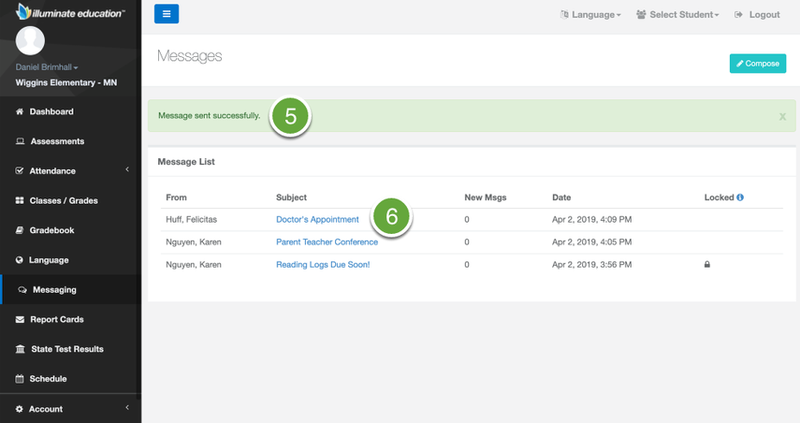 Tip: The Messaging feature needs to be turned on by your school district. To read/reply to a message, click on the Subject. Type your reply in the Reply box. Click Submit to send your reply. Your reply will appear at the top of the message thread. 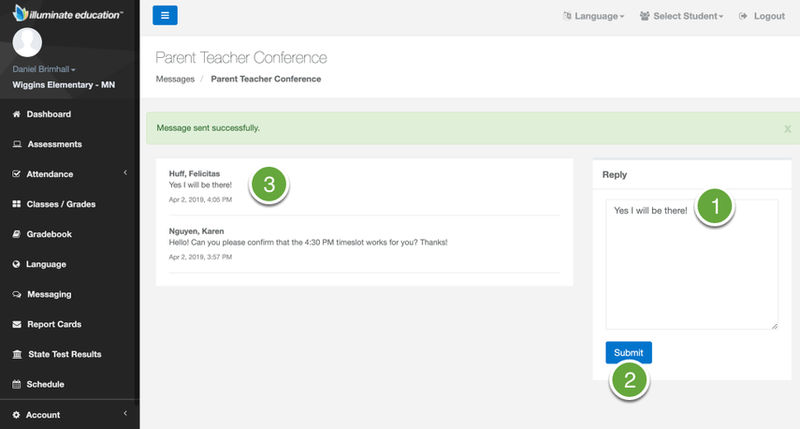 Select the teacher's name in the Recipient dropdown. 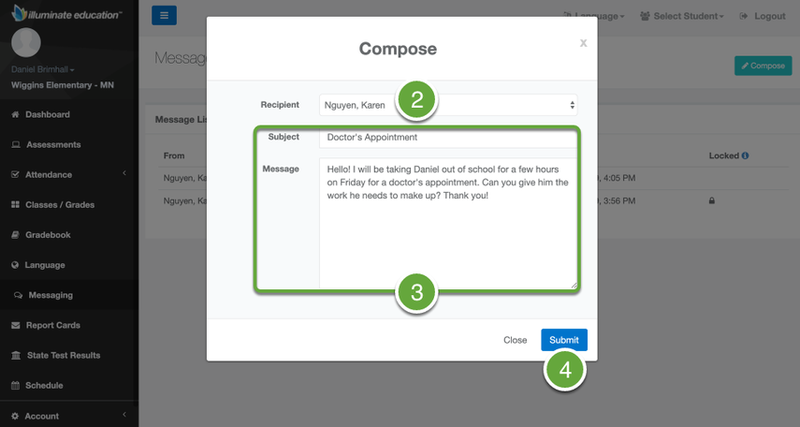 Enter the Subject and Message into the provided fields. A green confirmation will appear at the top of the page. Your message will display in your Message List. 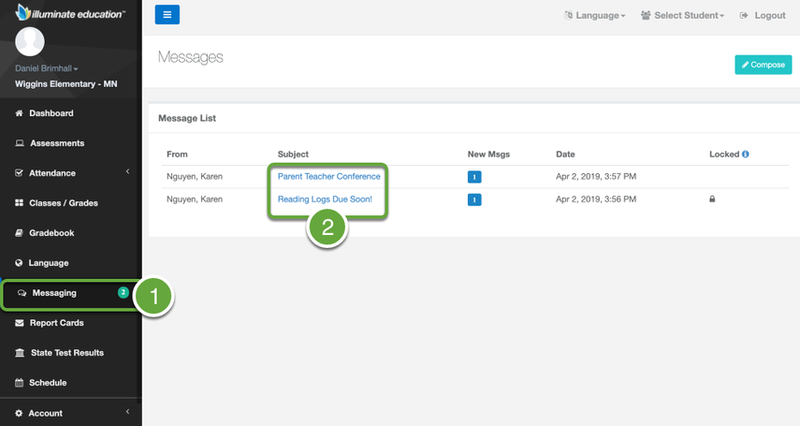 To learn more about the Parent Portal, see the lessons in Home Connection Portal: For Parents.